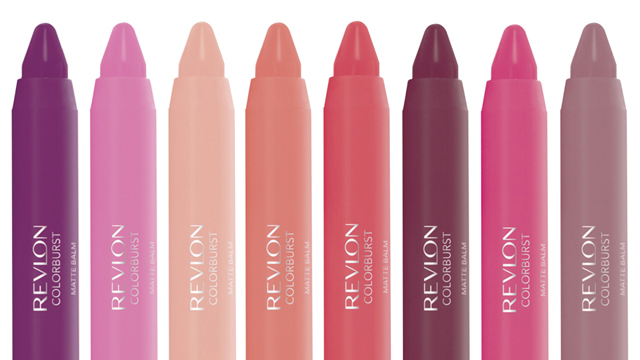 These will make your commuting life better! (SPOT.ph) Commuting in the Metro is not an easy feat. It's like going through hell and back before you even reach the office! We already know that taking PUVs is not exactly the safest way to get around but we do know how to make your daily commute a little bit better. The trick is finding the right bag that can carry all your things and keep them safe. 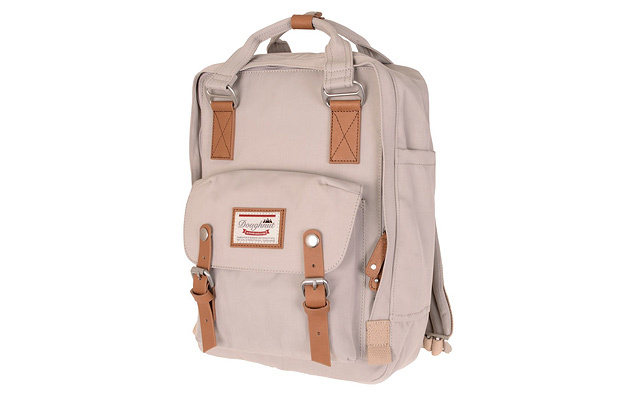 Keep your belongings secure in this casual (yet trendy) backpack! Kanken backpacks are crafted with Vinylon F fabric which allows the material to repel water, keeping your valuables dry even when it starts to pour. Wear it as a shoulder bag or sling it over your shoulder—this spacious bag is perfect for anyone who has a lot to carry but still wants to commute in style. The best part? It's slash-proof and armed with RFID blockers so you won't have to worry about bag slashers and identity theft! 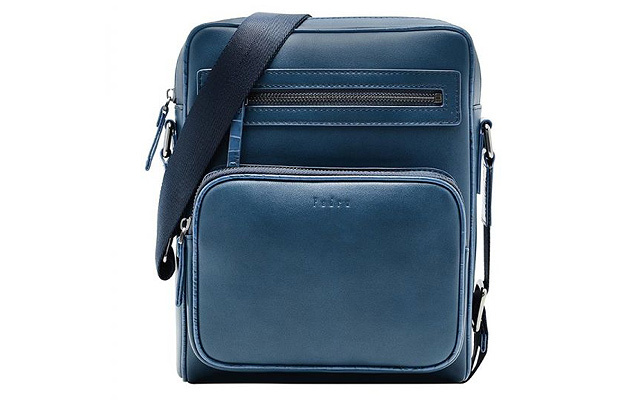 This backpack features a special storage compartment designed for your laptop. It's also armed with a water-repellent coating, keeping your gadgets dry year-round. 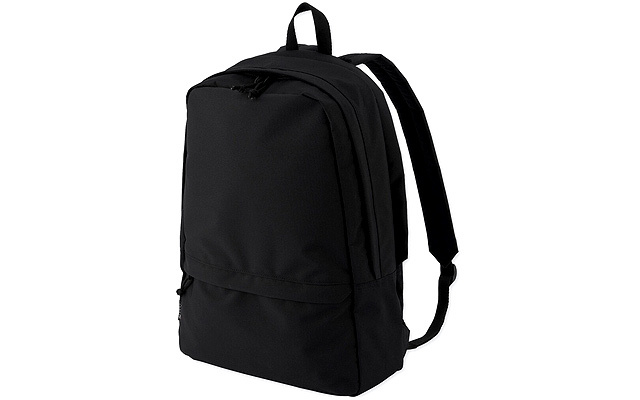 Lightweight and durable, this functional backpack is made from water-repellent fabric. It has a 15-inch laptop compartment, tablet pocket, and a water bottle compartment so you can carry all your things in one backpack. 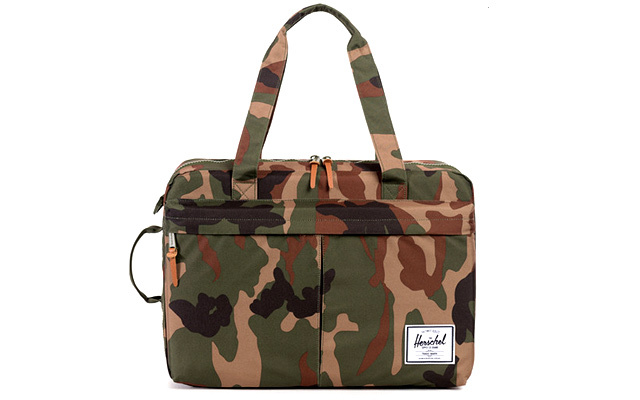 Gibson Messenger Bag (P4,990) from Herschel Supply Co. 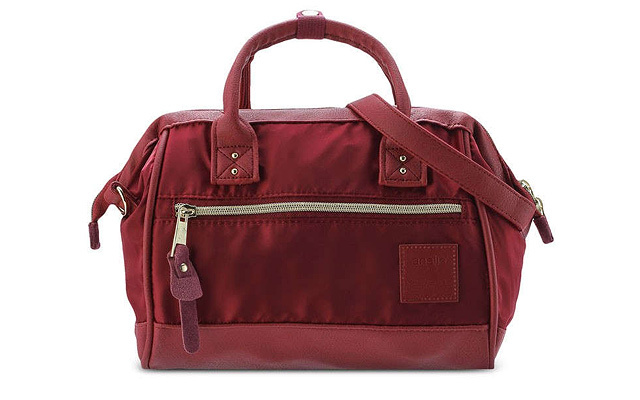 If messenger bags are more your speed, this one features two expandable front-zip pockets, a snap-closure sleeve pocket, and a spacious main compartment with an interior laptop sleeve that can fit a 15-inch laptop. Carry it using the top handle or sling it over your shoulder using the shoulder straps and you're good to go! 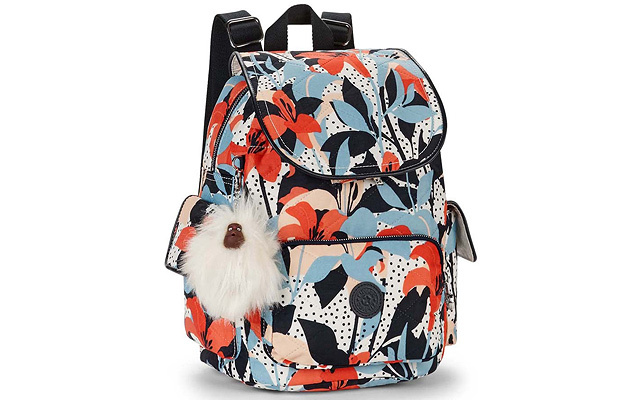 This vibrant backpack will not only make you look extra cute, it's a practical choice for commuters, too. It's roomy, has easy-to-reach pockets, and has a zipped main compartment covered by a flap with a magnetic closure, keeping your things secure. 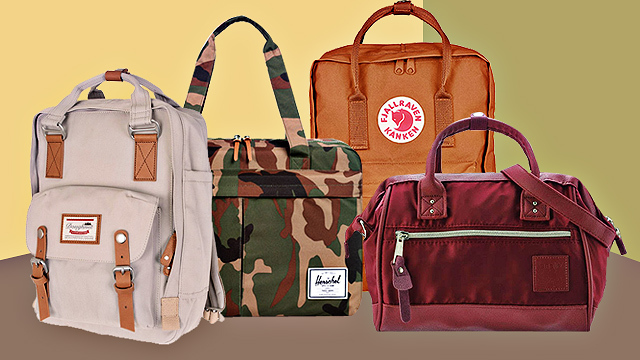 Need a roomy bag that you can use every day? 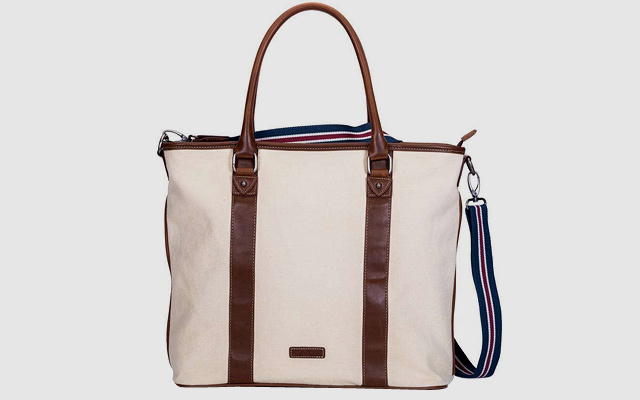 This tote bag has got ample space, perfect for people who have a lot to carry on a daily basis. 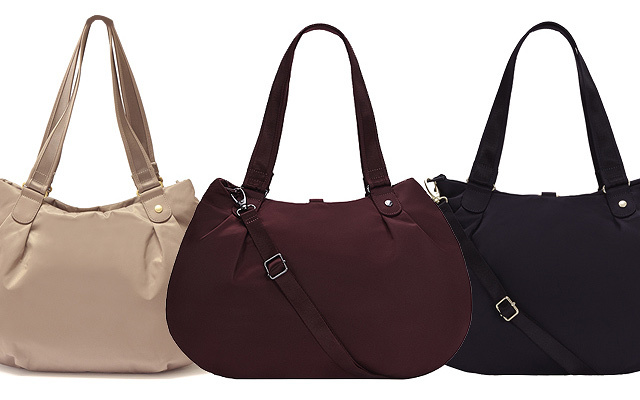 Trust us when we say that you could practically fit your entire house in this two-way tote. If you like to dump a lot of things in your bag every day, sling this red number over your shoulder or carry it tita-style. Its framed opening will keep you looking put-together even when the inside of your bag says otherwise. If you pack light, this small sling bag is all you need to carry your phone, wallet, and other everyday essentials. It even has pockets where you can store small items like a power bank, earphones, et cetera. 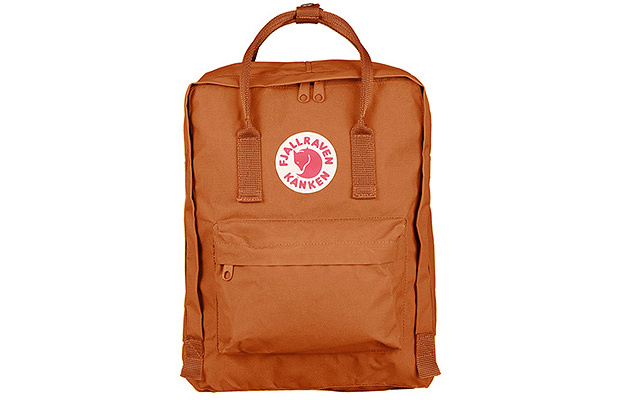 This no-nonsense everyday backpack is perfect for commuters who like to keep it simple but totally not boring. 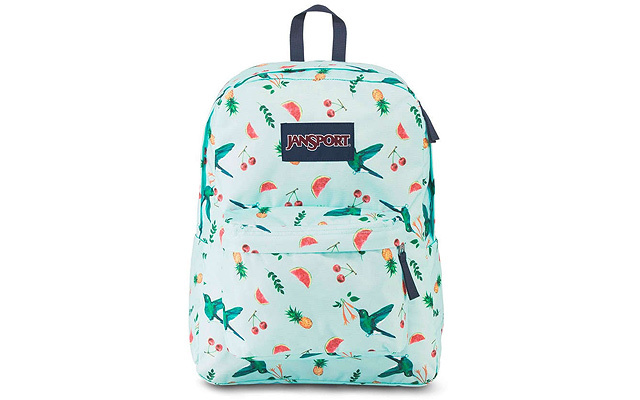 Plus, it's got a cute pattern with pineapples and cherries that will remind you of summer!